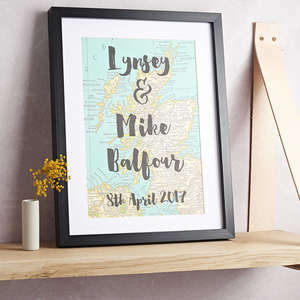 Commemorate a wedding, anniversary or new home with these bespoke map prints! 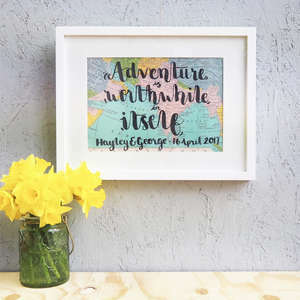 Choose from digital text, or a hand-lettered version to adorn your wall. Or, for real impact, opt for cotton and wood hearts to map your adventures.